The two-story clubhouse offers breathtaking views of the Raleigh skyline and first-class service to golfers, diners, varsity golf teams and students studying professional golf management and turf management. 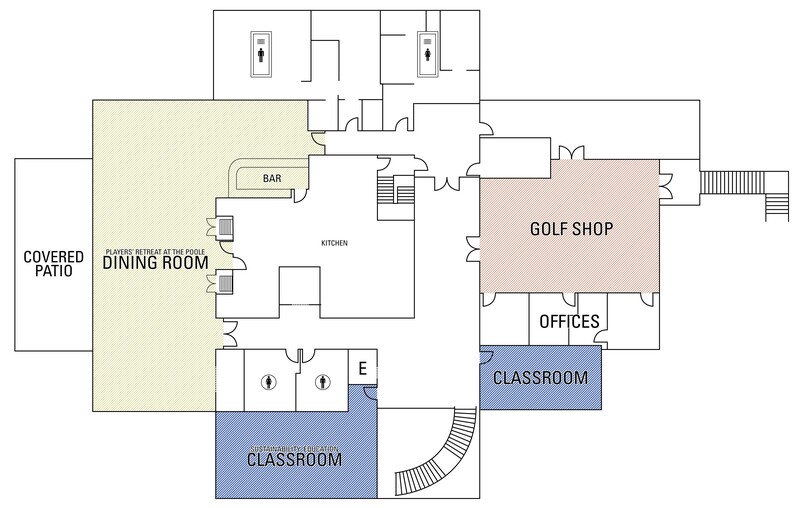 The second floor features the golf shop, Terrace Dining Room and two classrooms/meeting spaces. The Terrace Dining room is open for lunch weekdays and brunch on the weekends and is also available for private parties. Its outdoor dining area with fireplace allows the party to extend outdoors, with another portion of the patio providing an additional 400 square feet of shaded space during summer for golf tournaments. 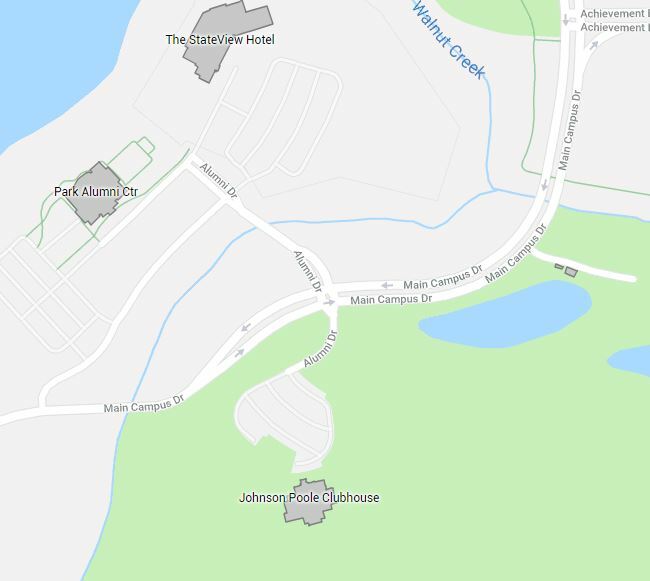 With the StateView Hotel and Conference Center and Park Alumni Center nearby, the options are plentiful for hosting larger events with convenient lodging. 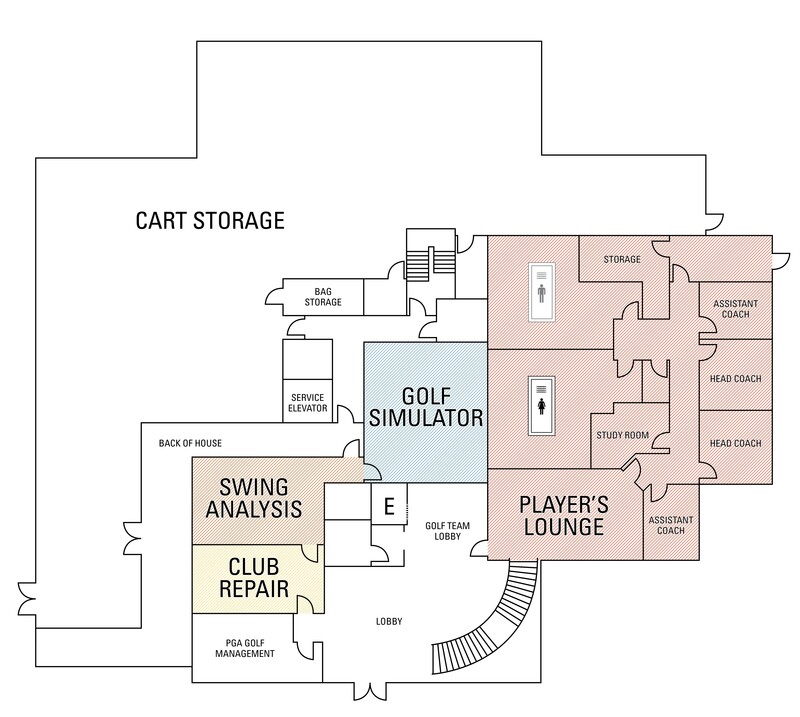 The first floor features our player development and club fitting/repair suites. Our staff as well as our PGA Golf Management (PGM) students can provide indoor training using our TrackMan technology and can perform a variety of club modifications, such as regripping, reshafting and custom sizing. The player development suite is also available for indoor games to beat the heat, rain or cold. The first floor also features a private suite for NC State’s golf teams, including a lounge, locker rooms, study space and coaches’ offices as well as offices for the PGA Golf Management faculty and staff. Our golf course and clubhouse is 20 minutes from RDU Airport and is within minutes of downtown Raleigh and other nearby shopping and dining centers. It is directly across the street from the StateView Hotel and Conference Center and Park Alumni Center.